Not all roofing issues require a complete re roof. Many problems can be solved with a repair. Repairs are a common offering from any roofing contractor, and make up large percentage of a contractors projects. 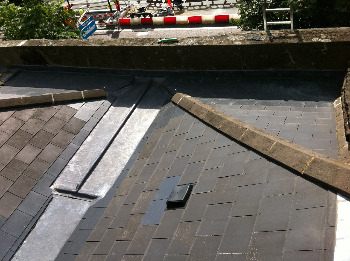 We will not 'talk you into' a new roof when a repair is sufficient. Repairs carry the same responsibility from you, the client, when choosing a contractor. You want, the best materials for the job, the workmanship standards to be high & for the guarantee to be sufficient enough to give you peace of mind for that troublesome area. Diagnosis is the biggest part of any roof repair work, and most issues can be correctly diagnosed by a qualified and expert roofer. This prevents layering work on top of work when the first job didn't solve the problem. When choosing a contractor, look out for signs of quality workmanship, such as using a member of the actual company to carry out the work, as opposed to sub-contractors. We are proud to have a team of 10 roofers, who work with us full-time. It is far to easy for a company to set up a sub-contracting system, meaning no outgoings for the company & no responsibility with regards to employees. We do not do that. On top of using our own staff, we fund their training, meaning they are qualified & ready to tackle your remedial repairs. We fly our flag on all of our scaffolds (and our vans..see pic above) because we are proud of our workmanship. We can help keep the costs down to you, our client, by passing on our savings to you. We can use aluminium towers for some projects rather than full scaffolding, saving on the total cost to you, whilst staying within Health and Safety guidelines. We also have accounts with the biggest suppliers in the UK, meaning bulk buy discounts on materials in some cases. These savings are also passed on to our customers. Our prices are fair and reasonable for the quality of the job you will receive. You will only need to repair your roofing problem once with us, and it'll be guaranteed too! Peter has over 35 years of experience in pricing roof repairs. Most importantly, he has seen most problems many times before, which enables him to pin point the actual problem, rather than guessing, getting it wrong & leaving you with the same problem but a little less money! No repair is too small for us. Our minimum charge as of April 2015 is £100+vat. Tile replacement and other small quick jobs usually fall into this category & we won't invent problems to boost up the job sheet. £100+vat might sound a lot to replace a few tiles, but not only do we supply and fit, sourcing out the best colour match available, but we are also a reputable company who adhere to Health and Safety regulations. This means teams of two, towers where necessary, harnesses where necessary etc. When you consider things in that context, £100+vat is very reasonable. Give us a call & we will diagnose your roofing problem & issue you with a fair and precise quote. 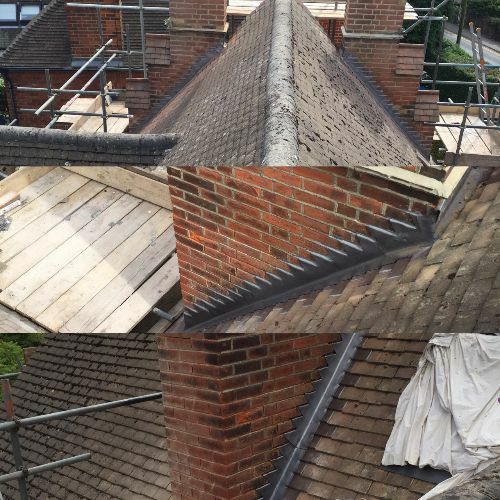 We have completed hundreds of roof repair projects in Brixton, Wandsworth, Clapham, Stockwell, Croydon, Streatham, Norbury, Norwood, Herne Hill & many other areas. For a list of areas that we cover, click this link: Roof Repair Areas Covered. The call will cost you the standard local rate & our customer service team will be delighted to make you an appointment for a viewing. standard that will last. Lead flashings are un-questionably, the best solution for your abutments. Call us for a competetive and free quote. We have extensive experience in choosing the correct lead weight, length and bossing/welding techniques to all types of lead related projects. 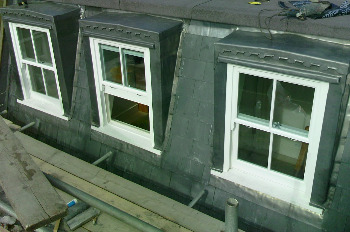 You can view previously completed lead flashing projects in Brixton, Clapham, Wandsworth, Norwood, & Croydon.